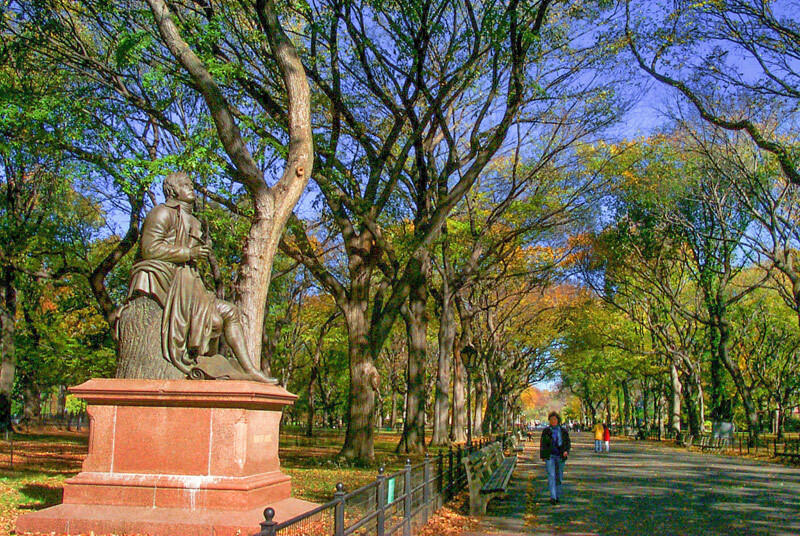 Miami In Focus Photo Gallery of the Robert Burns Statue E66 in Central Park. 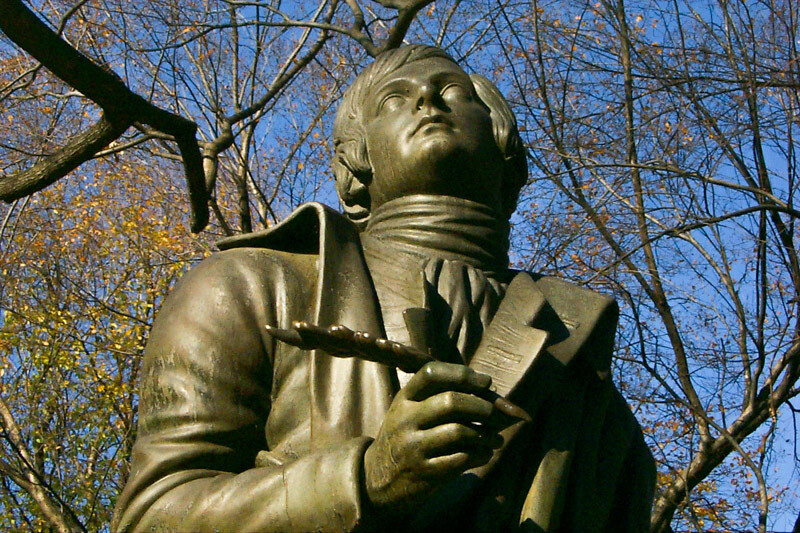 Seated on a tree stump with a quill pen in one hand is the bronze sculpture of Robert Burns, Scottland’s most renowned literary figure. 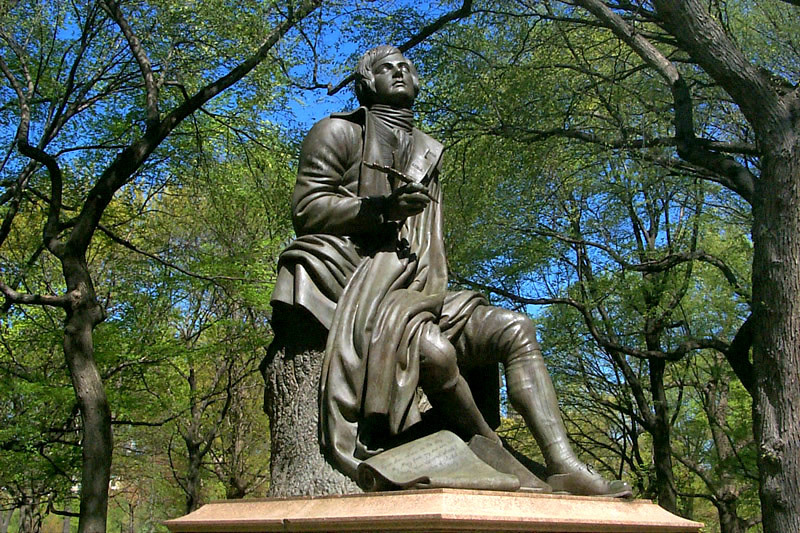 This statue is one of many located at Literary Walk in Central Park. 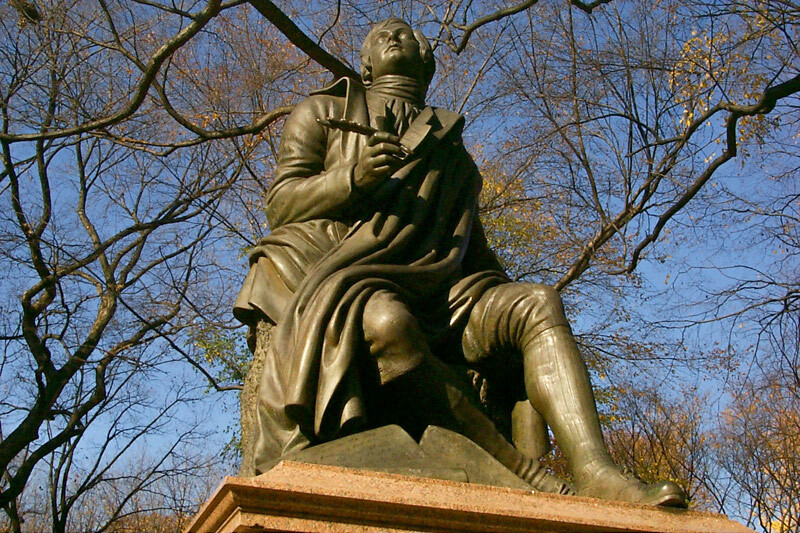 Burns celebrated Scotland’s landscape with its moors, bogs and highlands in his folksongs yet reached a deep pathos in his poetry about friendship, love and loneliness. 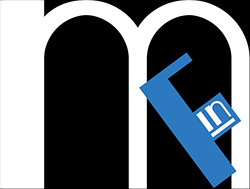 His most well known song "Auld Lang Syne” is a mirror to his lasting popularity. As he looks up to heaven, he is thinking of his true love Mary “Highland” Campbell, who died at an early age. It was to her that he had written the poem “Highland Mary” inscribed on the scroll at his feet.